She cooked dinner for her new beau Rob Kardashian on Monday. But Alexis Skyy was defending their relationship on Saturday after his ex Blac Chyna's new boyfriend said Alexis was only dating Rob 'for the fame'. Meanwhile, it was claimed that Blac and Alexis's feud at a recent party was solely over Rob, reported TMZ. 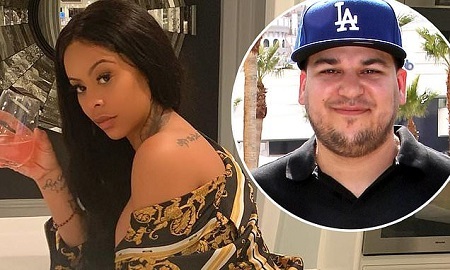 Sources close to the women alleged that Blac invited Alexis to a house party so she could 'set the record straight' about the Love and Hop Hop star's past dalliances with Rob, which she found inappropriate. Days later, Alexis cooked dinner for Rob at his mom Kris Jenner's house. Roba said Alexis was his Women Crush Wednesday. 'My WCW… I’ve been wanting you for so long,' he wrote over a photo of Skyy on Monday.